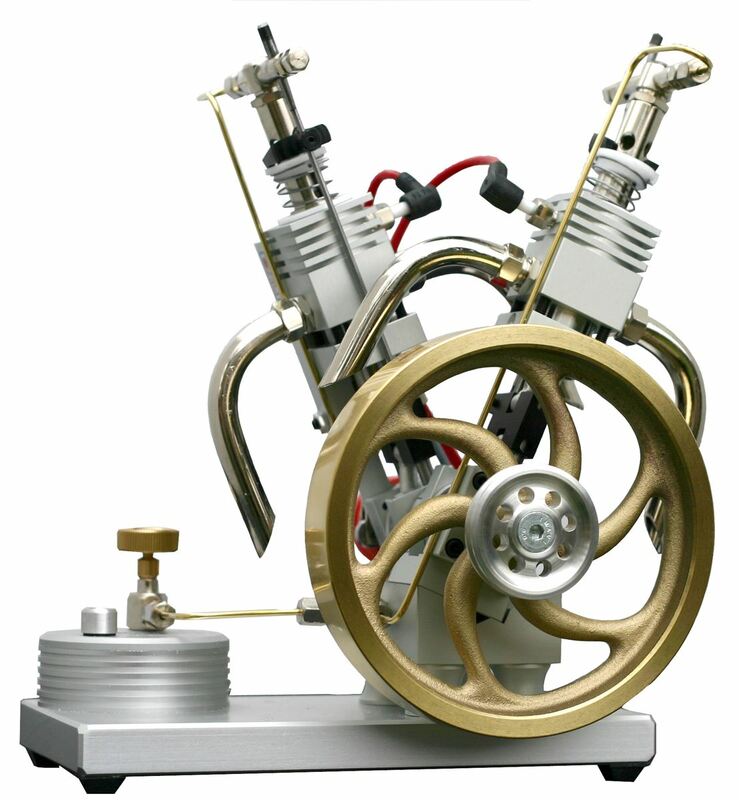 This is a two-cylinder gas powered engine "V-twin". V-Twin engines can run at a lower speeds due to the combined mass of the balanced reciprocating pistons and crosshead. 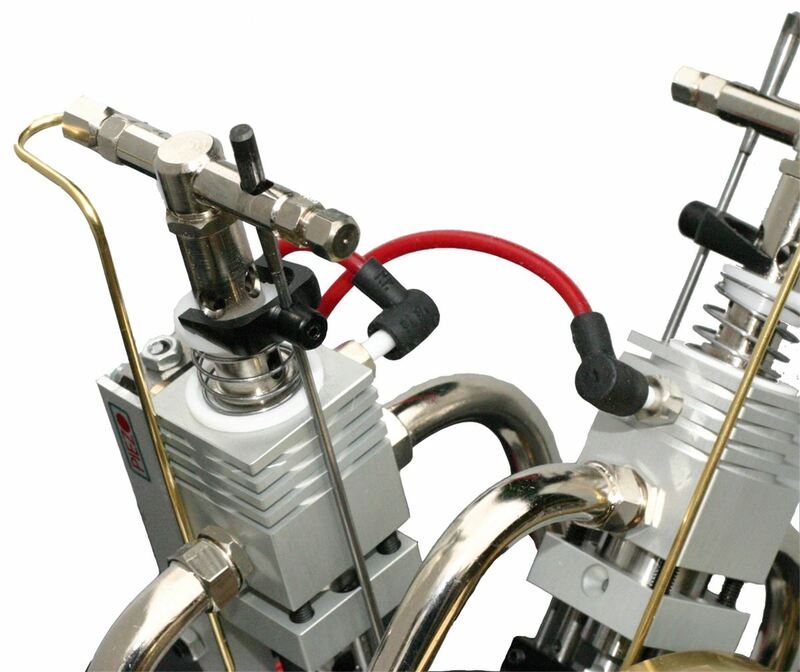 The ignition system is run using Piezo crystal which requires no batteries. 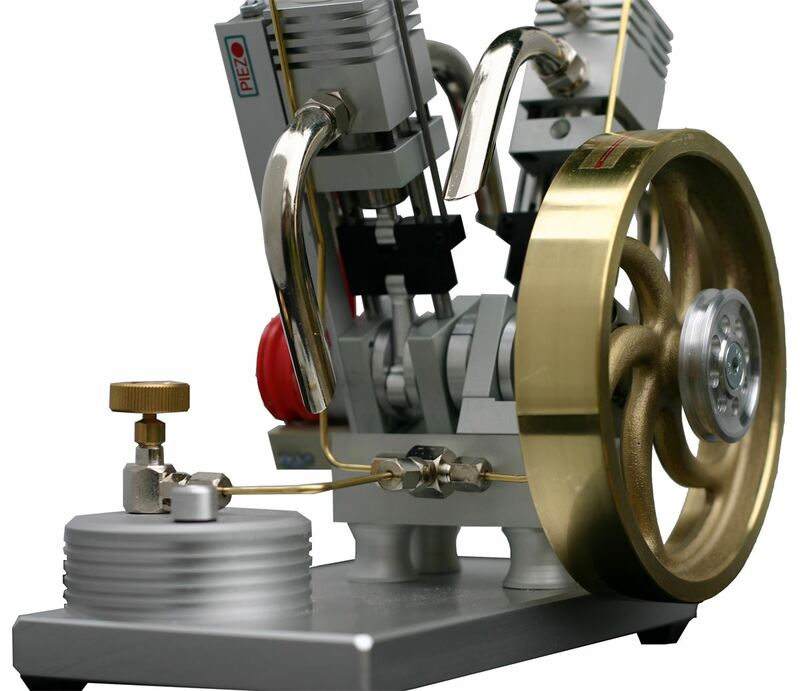 The Engine has two "injecting carburetors" and a large brass flywheel which makes it easy and simple to start. Simple turn a knob on the gas tank and flick the flywheel, then adjust the knob for the correct speed. Extended exhaust pipes have been added to give a V engine type sound (a cut down V8 sound if you like). The moving parts of the two-cylinders (pistons, crosshead and valve rods) move in opposite directions both balancing the engine and making a interesting mechanical interaction. The model engine comes complete and ready to run. Gas is not supplied but it can run off any butane or propane source. 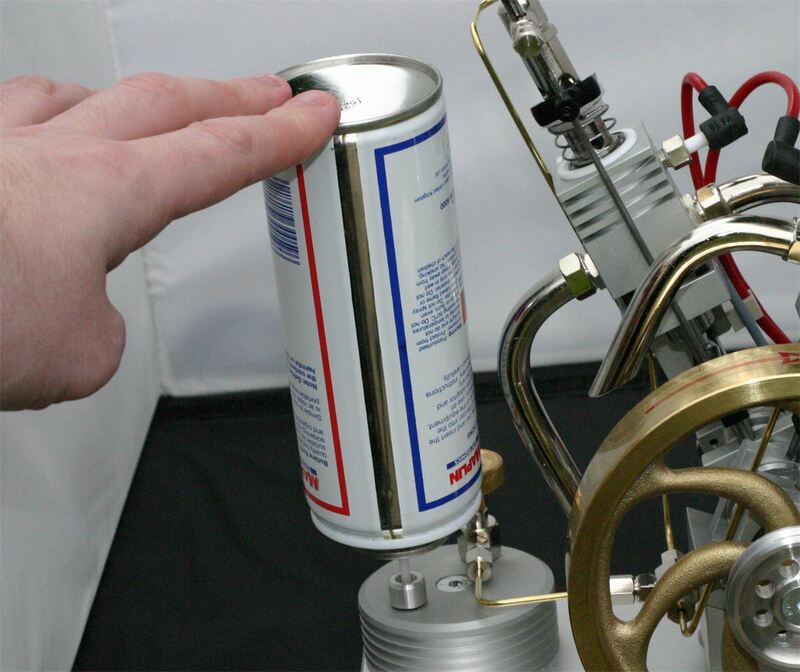 Click here for a supplier of butane in the uk.